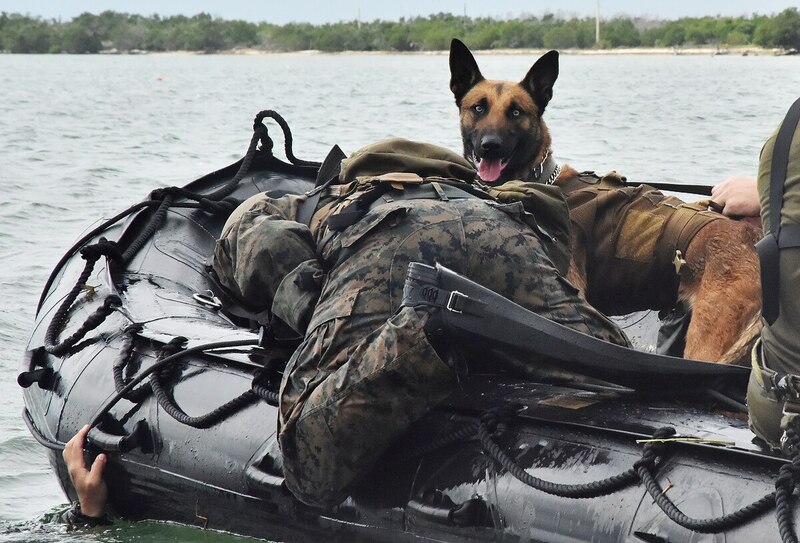 Raider dogs and their handlers were making a big splash this week off the coast of Naval Air Station Key West, Florida, as they conducted helocast training. Dogs and their handlers jumped out of military helicopters hovering just slightly above the ocean waters. The exercise was part of Special Operations Command’s multipurpose canine handler training. Dog handlers and their furry friends undergo about 16 weeks of training, which is broken down into two eight-week phases. Raider dogs have been integral to Marine Special Operations Command’s counterinsurgency conflicts from Afghanistan to Iraq. The dogs are trained in explosives detection and tracking, among other skills. The training prepares canines and their Raider handlers to insert with special operations teams.